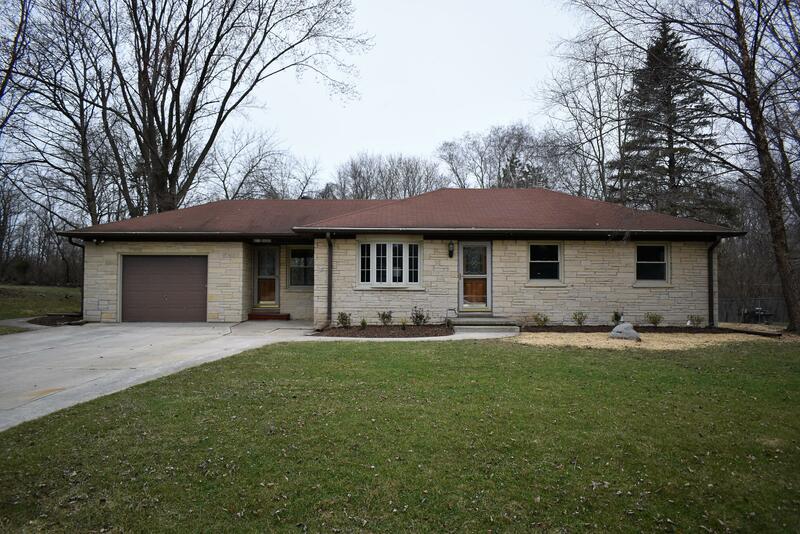 Super clean, handsome stone ranch in the desirable Hamilton School district is move in ready! This three bedroom home offers a tidy kitchen with solid surface counter tops and new appliances included. Kitchen leads to an adjacent dinette, which leads to either a foyer lounge area or outside to the large backyard bordered by wooded area. A modern, updated bathroom is ready to go with a tiled tub surround with accented niche. Fresh paint throughout with refinished hardwoods in the bedrooms and new carpeting in the spacious rec room. Rec room boasts plenty of space entertain and a bar area. Newer furnace & air conditioner done approx four yrs ago. An attached garage leads right into the house, and a garden shed provides extra storage. A great opportunity to get into a great area, see today!